Fundraising can be daunting when you attempt to tackle everything at once. 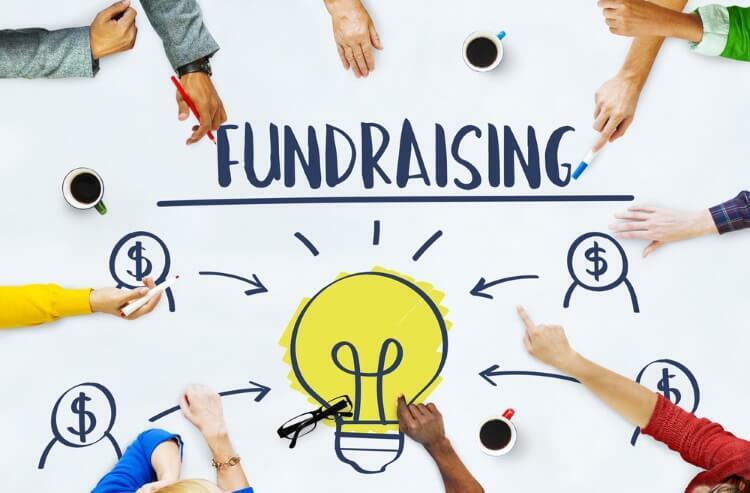 Successful fundraising involves a series of specific steps that when followed diligently, create a higher comfort level with the entire process. These steps—presented here as the Seven I’s of Fundraising—will aid in promoting significant philanthropic support for your mission and vision. Fundraising success results from this structured process, not from cutting corners or taking shortcuts. 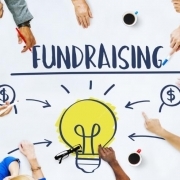 Implementing each step—from identifying potential prospects, to asking them to invest in your mission and vision—will help you build a successful fundraising program. The first step is prospect identification. Ideally your staff, board, donors, and other stakeholders will aid in prospect identification. Begin by identifying the “usual suspects;” individuals, corporations and foundations providing significant funding to other nonprofits in the community. Expand on these efforts by engaging one-on-one with board members, donors and other stakeholders to ask them about their own networks and spheres of influence. As you seek to expand your prospect pool, focus your efforts accordingly. Individuals provide the largest proportion of charitable contributions annually. In 2017, while over $400 billion was contributed in the United States, individual donors contributed 81% of that total, directly and through their estates. Foundations, including private and family foundations, were responsible for only 14% of donations, and corporate donations made up the smallest percentage—only 5%. Introductions can be critical—having the right person introduce you to the right prospect can set the stage for a mutually beneficial long-term relationship. First impressions are also important. A positive first impression will provide a solid foundation for building a strong donor relationship. Being introduced to a prospective donor by a mutual contact is ideal. Look to board members, volunteers, stakeholders, current donors, and others who are willing to introduce you to the prospects you identified in the previous step. Don’t rely on cold calls. Take the time to identify personal relationships and introductions that will provide instant credibility. Once an introduction has been arranged, it’s time to provide the prospects with concrete information about your organization. People want to know their dollars will make a difference. Present measurable metrics and achievements and show solid examples of how past giving has allowed your organization to achieve its goals. Show what future funding will give you the ability to accomplish. Sharing specific projects or programs that are directly funded by contributions showcases how people can support your organization’s missions and vision. Clearly define what your organization does, why the mission and vision are important, and what makes it worthy of the prospect’s investment. If possible, reinforce these points with testimonials from people who are positively impacted by your organization. Give the prospect the information they need to understand your organization and the impact it is having. Interest is the “deciding I.” Your efforts to provide a prospect with information regarding your organization will provide a level of insight regarding their interest in your mission and vision. The goal is to gain clarity about the level and focus of that interest. This clarity can be gained by listening carefully during one-on-one conversations; and tracking specific questions a prospect asks and topics that seem to evoke greater attention. Keep in mind that while a prospect may have been identified for a specific funding initiative, most nonprofits are not singularly focused. Multiple opportunities should be presented in an effort to align with prospect interests. If interest is clearly demonstrated, you will want to advance opportunities for meaningful involvement with your organization. Now that you’ve identified interest, invite the prospect to one or more events that will provide access to your leadership, staff, and other donors who can passionately express their own enthusiasm for the mission and vision of the organization. The goal is to engage the prospect, bring them closer to the organization, and get them excited! People donate more to organizations with which they are involved. Focus on building prospect involvement with volunteer or advisory opportunities. Allowing people to become part of the planning and execution of projects helps develop a sense of ownership and commitment to the organization and its success. Strengthen prospect involvement by matching opportunities to the prospect’s strengths and interests. The more involved prospects become, the more likely they are to invest in you. When these steps above have been followed, investment is the natural next step. The difference between a good nonprofit and a great nonprofit is private support that can come in many forms including cash, securities, real estate, art, personal property, and/or life insurance policies. When you follow the Seven I’s, the chances of securing gifts are considerably greater. An involved prospect will ask, “What can I do to help?” and it is at this point that you should ask for a gift. Remember to ask. Following the Seven I’s of Fundraising is vital. The step-by-step process maximizes real relationship building and ultimate fundraising success. For many reasons, skipping from identification (step one) to investment (step seven) is not recommended. Applying adequate time and attention to this process will result in sustainable philanthropic support from donors who are invested in the mission and vision of your organization. Start today! Nicholas Scully has more than 35 years of experience in the nonprofit sector. His areas of expertise include campaign management and implementation, prospect engagement and cultivation, board training, planned giving, major gift solicitation, donor stewardship and enrollment management. Prior to joining The Compass Group, he was the vice president for institutional advancement and athletics at Christian Brothers University in Memphis, Tennessee. He formerly served Grace-St. Luke’s Episcopal School in Memphis in several leadership roles including chief development officer. His clients have included major universities, private colleges, conservation groups, independent, charter and public schools, social service providers, health care facilities and national fraternities.